Hello! Thanks for making contact, we will be in touch shortly. If you would like more information about the bins, see below. * Free one-month secure shredding bin hire, including free delivery, all you have to pay is a minimum of one collection and destruction. Simple. 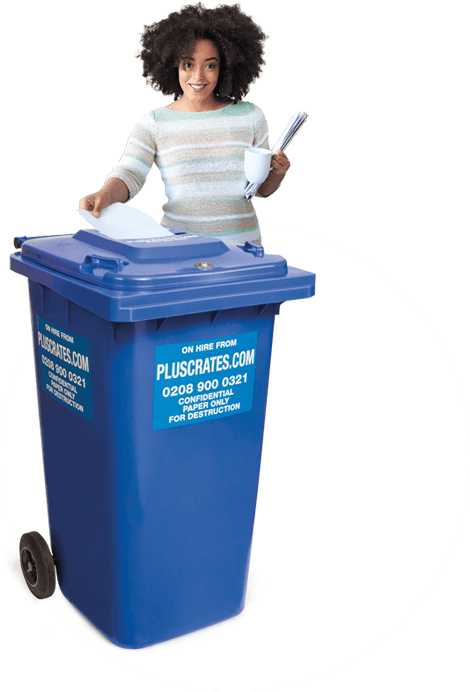 Just fill out the contact information above, and we will get in touch to arrange the delivery of your bin for your free trial. We hope you love the service and become a regular customer, but there is absolutely no obligation to do so. The usual price of £4 per week (£16 per month) bin hire is waived, as is the delivery cost of the bin to you, all we require is for you to pay for a minimum of one collection/destruction.